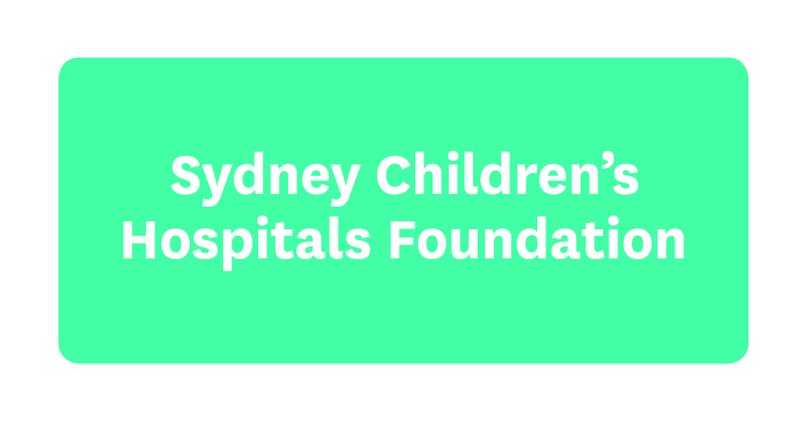 Christmas is a time of giving, where we see different community groups come together to bring some festive fun to sick kids. That’s why we’ve launched the 12 days of Christmas, where corporates and community groups gather to support the Hospital and make it a special time for patients and their families. Earlier this week we celebrated with a cheer and a song. 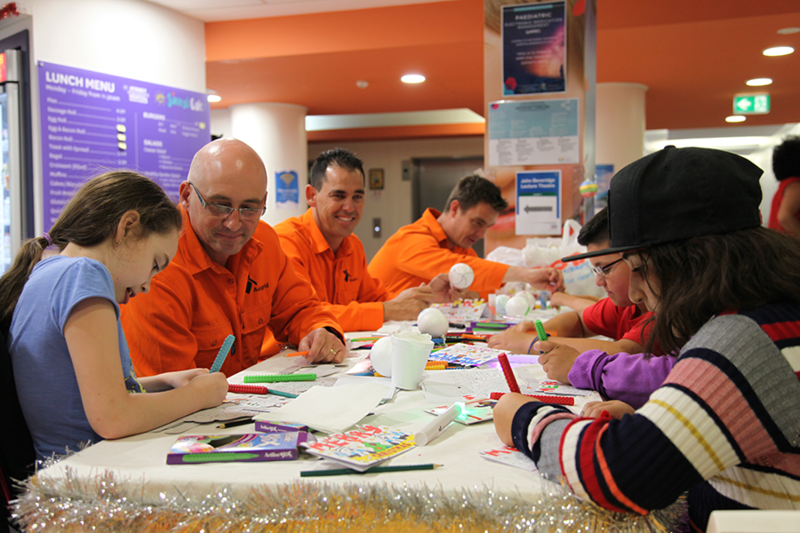 Staff from Ausgrid joined patients, Foundation and Hospital staff, journalists and Music Matt to spread a little seasonal cheer, create decorations, and even belt out a few Christmas songs. 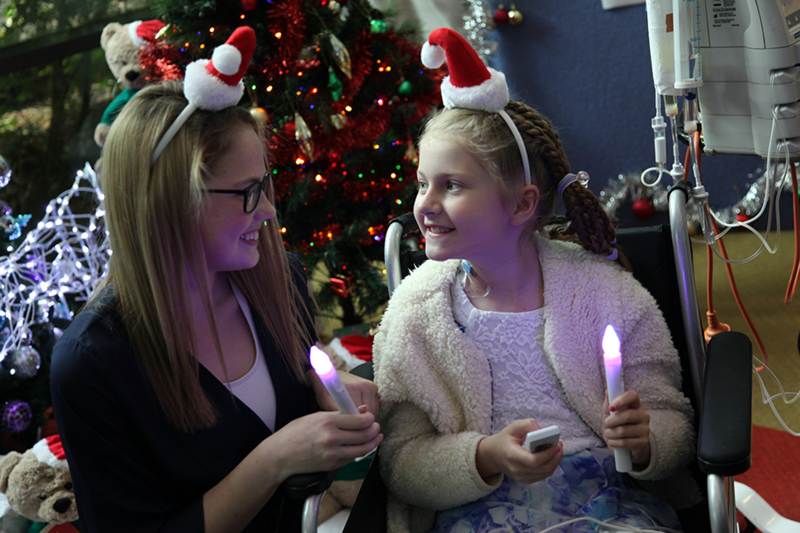 Then 10-year-old Lauren, a patient in the Hospital, did the ‘Big Switch On’ – turning on the twinkly Christmas tree lights in the Hospital’s High Street Foyer. 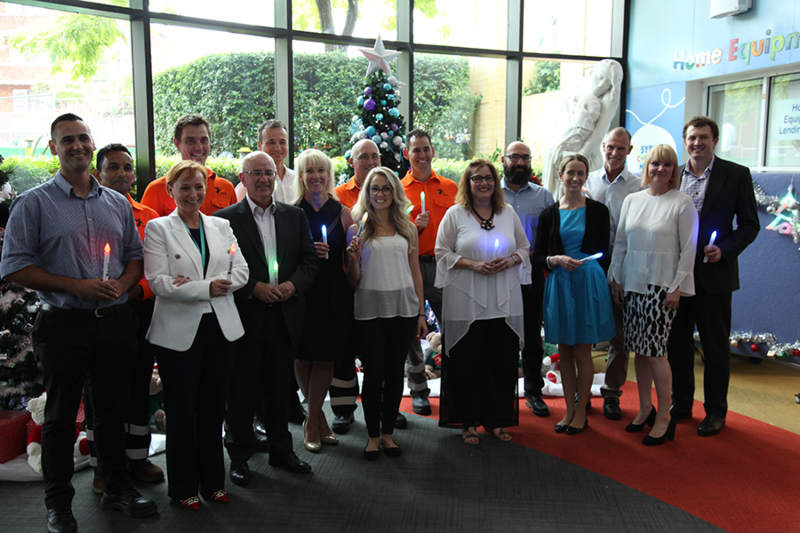 A big thanks to Ausgrid and to all that helped out on the day, including the enthusiastic singers who helped create the festive vibe. 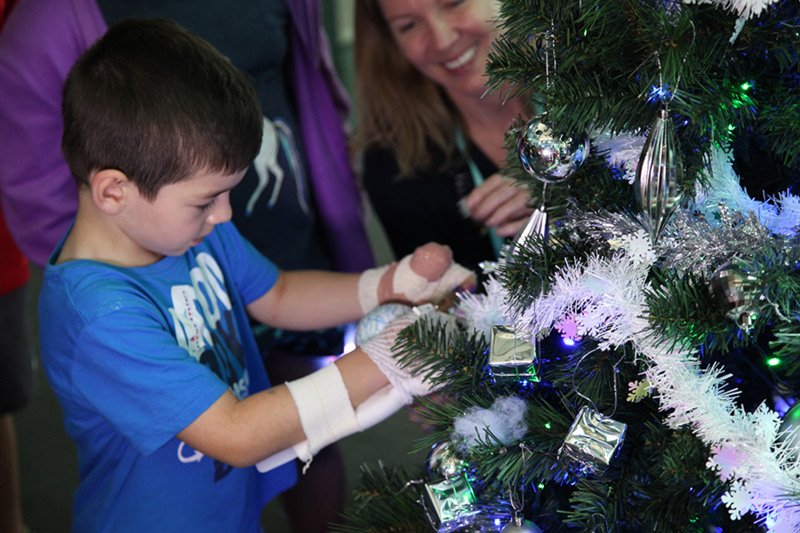 The festive season has officially begun in the Hospital and we look forward to working with members of the community, corporates and volunteers to bring some more Christmas cheer to the kids and their families in the Hospital. To see who else is involved in the 12 days of Christmas head here. 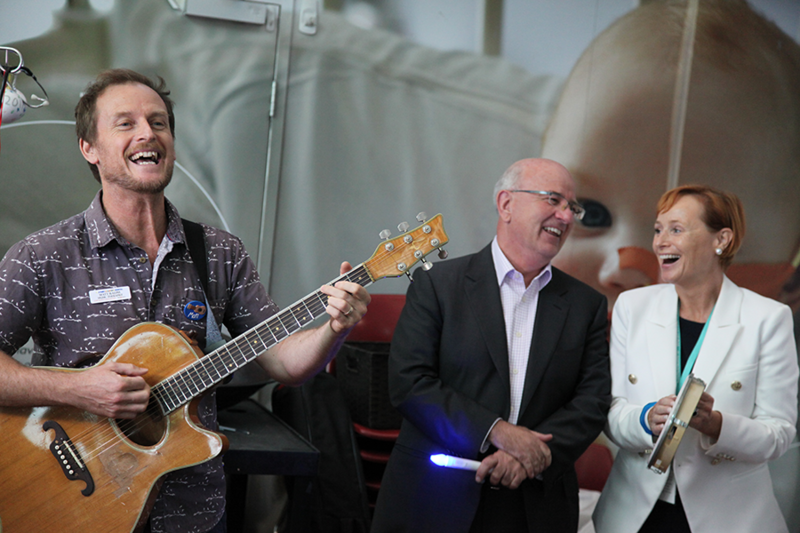 Music Matt signing Christmas carols with Ausgrid CEO Richard Gross and Foundation CEO Nicola Stokes. Images above used by permission of Ausgrid.